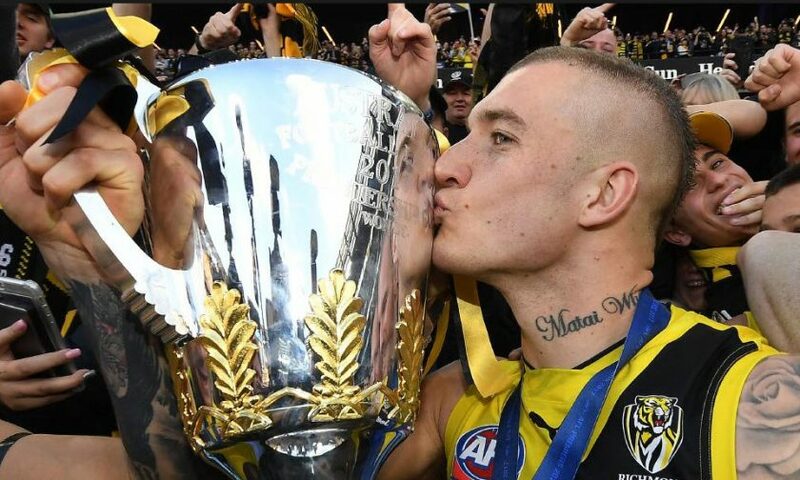 Many pundits regularly questioned Adelaide’s big game composure during the regular season and sure enough, they wilted when it mattered in the Grand Final, for which they started as favourites. Bryce Gibbs is a clutch player but is he enough? And what of the loss of Lever? I’m expecting another strong regular season from the Crows as they bank around 10 wins at the Adelaide Oval and pick up at least another seven wins on the road against low hanging fruit or at Etihad. A minor premiership would not surprise but I still doubt their big game composure and can’t have them as premiers. How to bet Adelaide: Adelaide have been dominant at home for the past two seasons covering the line in 19 of 26 games across this period. They are also a dominant over team, particularly at day time and have gone over the total match score line in 17 of their last 24 games in this time slot. While the Fagan era began with a wooden spoon, their was clear evidence of green shoots of recovery at the Gabba. The Lions were very good off the field, retaining much of their young talent and on the field, they came home strong, with four wins in the second half of the year. Another year of injuries to key players including Christensen and Robinson saw young players gain some early exposure and bolstered the squad’s experience. The Lions recruitment was also very good adding Cameron and Hodge to go with number one pick Rayner. The Lions young key position players will be stronger for another off season in the gym and if they had another ball winner or two in the midfield, I would back them to climb out of the bottom four. How to bet Brisbane: The Lions have gone over the total match score line in 19 of their last 22 games on the fast Gabba track. While the defence should improve this season, I do expect some shootouts at the Gabba nonetheless given Fagan encourages his men to chance their hand in attack. But do stay away from the Lions after dark as they have only covered the line in 2 of their last 14 night matches. It’s had to be optimistic about the Blues prospects this season given the loss of Gibbs and Docherty’s ACL injury – that’s arguably two of their top three players unavailable. They have not been active in seeking replacements in the market with Kennedy, Lang, Mullett and O’Shea the incoming players – hardly enough to have opposition scouts working overtime on the video replays. How to bet Carlton: The Blues have been a Jekyll and Hyde team for some time now, covering the line in 32 of their last 49 day matches, often against lower ranked sides but failing to cover the line in 30 of their last 46 night matches, which more often than not are against higher profile teams. The Pies year on year win count makes for awful viewing and they are yet to improve on any of their previous seasons during Nathan Buckley’s six year regime. I’m not sure we’ve seen the bottom yet. Serious question marks remain over the club culture and Buckley’s prowess with the clipboard. The club has been weighed down by big contracts to the under performing Mayne and the often injured Wells. They were very quiet during the trade period and one is led to conclude that the club’s hierarchy has written this season off as a rebuilding year while they jostle for the services of Tom Lynch in 2019. And to top it off, the reliable Goldsack is out for the season. How to bet Collingwood: Like Carlton, Collingwood are another long term Jekyll and Hyde team – they are competitive under lights, covering the line in 18 of their last 24 night games but are woeful under the sun, failing to cover the line in 22 of their last 35 day games. Look for the right opportunities to bet these angles. Essendon were one of the better attacking sides last season finishing third in attack and have added the speed of Saad and the x-factor of Stringer to the line up. These are positive acquisitions and could very well improve the club significantly. However, I still have question marks over their 12th ranked defence. For mine, what separates the Dons from the pack of teams battling for the eight is their scope for improvement. Their record last season was achieved despite losses to Carlton, Brisbane and Fremantle, while they also threw away a match winning lead against Sydney – they could have easily racked up a couple of more wins. How to bet Essendon: Essendon revel in playing at night covering the line in 28 of their last 42 night games however, are poor interstate, covering the line in just 5 of their last 17 interstate matches. Fremantle won eight games last year but had a horrible percentage of just 74.4. They had four wins by less than a goal during the season which flattered their final ladder position. Ross Lyon is rebuilding the list solid key recruits over the past two seasons and three top eight picks in the last two drafts which should start to bear fruit. However, their failure of the Harley Bennell experiment has proven very costly. It is quite possible that their play will improve slightly this season, driven by a now injury free Fyfe but still finish around the eight win mark, nine games, tops. How to bet Fremantle: Freo have been an outstanding long term under bet at night, having gone under the total match score line in 27 of 34 night games since 2012 and unless Lyon radically changes his coaching approach, I expect this to continue. Interestingly, Freo also have a poor long term record of backing up with six days or less between games having covered the line in just 8 of their last 29 games off a short backup. It will be a fascinating season at the Cattery with the return of Ablett. However, it will be a miracle if Geelong can keep Ablett on the field for three quarters of the regular season given his recent injury history. I would have liked to see the Cats bring in a young like for like replacement for Motlop but that hasn’t happened and I just feel they might lack a little speed which could hurt them on the bigger grounds – they’ve lost six of their last eight finals at the G. Still the midfield will keep the Geelong machine purring for most of the season and they will be advantaged by an extra game at Kardinia Park this season. How to bet Geelong: The Cats struggle to run up cricket scores against lower ranked teams and have only covered the line in 13 of their last 39 games as a 30.5+ favourite. The Suns picked up a couple of wins in the trials but let’s not forget the final game last season when they were slaughtered by 115 points and kicked just three goals. Incoming coach, Dew has a massive job in front of him and on and off the field where he will battle distracting media speculation about the future of Tom Lynch. Dew will do very well to avoid the spoon. While most coaches won’t have their teams at peak aerobic fitness for Round 1, it would not surprise me if the Suns have a fitness edge at the start of the season. The AFL has offset the impact of the Commonwealth Games by allocating the Suns matches against the Roos, Blues, Dockers and Lions in the first five weeks. Surely Dew must be tempted to target these games for confidence boosting wins – even if it means peaking too early and paying the price later in the season. How to bet the Suns: Take on the Suns at night as they have only covered 4 of their last 18 under lights. Some pundits have suggested that GWS regressed last season and will continue to do so, following the loss of five players and nothing of note coming in. I’m not one of them. GWS over achieved in 2016 with 16 wins and followed up with 15 wins and overcame a high injury rate to do so. They missed Cameron, Griffin and Mumford in last year’s preliminary final – that’s a decent chunk of quality. Bottom line is their top 22 players are outstanding and arguably the best in the league and the vast majority of them are in their absolute prime – their time is now. My main concern is the coach – if he can’t get it done this year, he needs to be jettisoned while the premiership window is still open. How to bet GWS: GWS are a major under play under lights, going under the total match score line in 16 of their last 21 night games. This season will be one of the biggest challenges of Alastair Clarkson’s distinguished career. A third of his roster has played no more than half a dozen games. Just 10 players mostly role players remain from the 2013 flag. Breust and Gunston were poor last season Rioli played just a handful of games. The Jaegar O’Meara gamble is looking very shaky with the former top prospect having managed just six games in three seasons. Unless O’Meara can return to his best and help Mitchell shore up a thin midfield, it will be a long year. 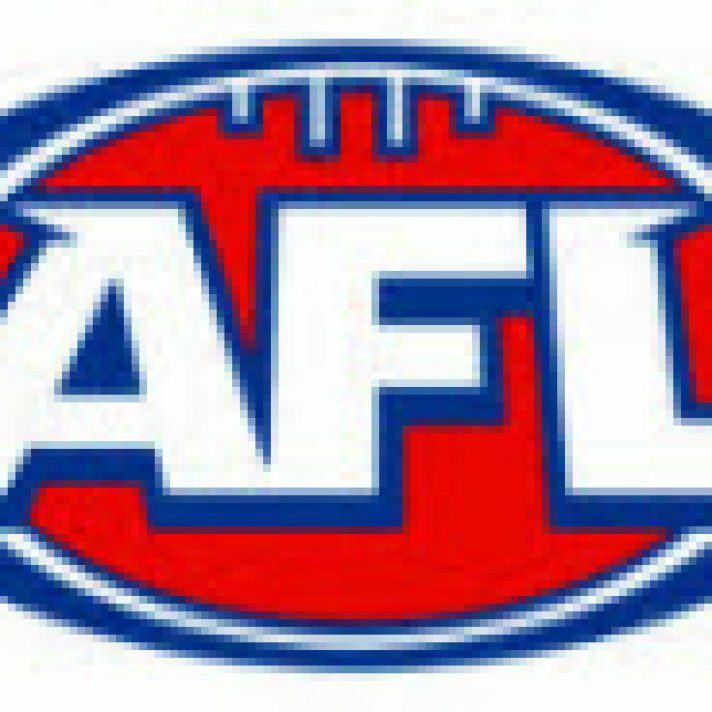 The AFL has given them a leg up with a friendly draw to start the season, playing just two top eight sides in the first six weeks. They will need to make the most of it. How to bet Hawthorn: Hawthorn have covered just 6 of their last 17 starts interstate and I expect this will be another good year to take them on away from the comforts of Melbourne. As the famous Hawthorn kicking efficiency steadily declined, Hawthorn have become and under team with 15 of their 22 matches last season going under the total match score line. Let’s see if the first few matches this season throws up more of the same. Melbourne finally look to have all the pieces in place for a genuine crack at the top eight. Gawn and Viney will do their thing, Petracca and Oliver are poised to go up another level and this quartet will be complemented by the arrival of Jake Lever’s intercepting prowess. Melbourne won the equal fourth most quarters of any club in 2017 but twelve wins and a ninth place finish tells us that the difference between their best and worst football was costly. The Dees look to have a favourable draw, and will face Geelong first up – who have question marks over Dangerfield and Ablett, followed by Brisbane and North. A fast start is essential. How to bet Melbourne: Take them on at Etihad where they have a long term hooding having lost 25 of their last 29 games there. Despite winning three of four at the dome last year, those wins were against St Kilda, Essendon and Western Bulldogs, hardly top shelf sides and I’m happy to continue to oppose them at the dome. After Brad Scott’s brave but necessary reboot at the end of 2016, it took until the last day of the season for North to avoid the wooden spoon and many pundits have penciled them in for the spoon this season. However, the ladder doesn’t tell the full story. North were 1-5 in games decided by a goal or less last season and had a percentage of 87.59. This century, around 75% of clubs that had a similar record of losing close games won more games the following season and I expect North to do the same. They have solid core of 8-10 top players including Brown. Waite, Goldstein and co but the depth chart falls away alarmingly after that and will be a barrier to climbing any further than 14th. How to bet North Melbourne: North have a great long term record when despised underdogs, covering the line in 19 of their last 29 matches as a 15.5 to 30 point dog. This Power outfit ticks a lot of boxes for a surge up the ladder. Aggressive recruitment? Rockliff, Watts, Motlop – tick. Good percentage in 2017? Port won 14 games with a percentage of 129.74 that suggests that they should have won 16 games according to Pythagorean theory advocates – tick. Unlucky the previous season – they lost three games to top eight opponents despite having more scoring shots – tick. In short, all the tools are there for a side that went 12-0 against the bottom nine teams. Coach Hinkley’s challenge is to work on their mental toughness and do better against the top nine teams than the 2-8 record that Power racked up. If he can do that and I think he can, this side could be scary good. How to bet Port Adelaide: Port are very good underdogs in close match ups covering the line in 19 of their last 28 games as a 0.5-15.5 point underdog. They have also gone under in 31 of their last 43 night games. Sitting down to write a pre-season preview, one is struck by the similarities between the Western Bulldogs and Richmond premiership seasons. Both had young rosters and identified as defensive teams that ranked third in defence but were around mid table in attack. Both won 15 games in the regular season and got hot in December. The have touches of class and skill on their roster but their roster is still well short of the class dripping from the Brisbane and Hawthorn dynasties and for that reason, I can’t see them going back to back. I don’t think their manic defensive intensity is sustainable and if they happen to lose a key small forbid or Reiwoldt for an extended period due to injury, I can’t see them having enough depth in attack to kick a winning score. How to bet Richmond: The Tigers have been a long term under side under Hardwick and this did not change last season as they went under the line in 18 of their 25 games. I’m expecting similar numbers this season. The Saints steady rise up the ladder under Richardson stalled last season and you can’t help but wonder if they have room for improvement. They have a reasonable core of solid players, a good coach and an well executed game plan at Etihad. However, following the retirement of Reiwoldt, they appear to lack top shelf superstars who can win you the extra three or four games you need to entrench yourself in the top eight. At the moment, I can’t see who is going to step up for the Saints and accordingly, I have them pegged ninth. How to bet St Kilda: Predictably, the Saints are a good betting proposition at designated home games, having covered the line in 13 of their last 21 home games. However, away from Etihad and the MCG, it is a different story, with the Saints covering the line in just 12 of their last 35 games outside Melbourne. The Swans were the best team in the league for the last 16 games of the season, but drained the petrol tank to make up for their poor start and were out the back door in the finals. I was surprised that they didn’t take the opportunity to refresh the list a little to reduce the average age. They may pay the price for that in two to three years time, but this season, I expect the Sydney machine to pick up where they left off at the end of the regular season last year – they will be in the top four. How to bet Sydney: The Swans play their best footy in the daytime covering 34 of their last 51 day games, but not so well at the MCG covering just 6 of their last 17 at HQ. The Eagles are a fascinating case this season. They are sprinkled with touches of class throughout the ground but a failure to bring through young talent during and following the Grand Final season of 2015 finally looks like catching up with them. Half of the roster has played less than a dozen AFL games and 16 are yet to play a single AFL game – these are scary numbers indeed and when the inevitable injuries arrived, there are going to be some very green players heading on to the field and even if Natanui makes a successful return. Having left their home fortress for a new stadium, which has different dimensions, I expect things could get ugly. How to bet the West Coast: The Eagles have been notoriously poor interstate over the past two seasons and have only covered the line in 8 of 21 games across this period – it would not surprise to see this trend continue. However, they do enjoy playing at night and have covered the line in 14 of their last 18 night games. 2016 seems like a long time ago, already. There was little about the Dogs premiership win that suggested a dynasty in the making and 2017 proved the doomsayers correct with the Dogs fading badly in the second half of the season, winning just 7 of their last 17 games. They ranked 15th for scoring last season and have lost Jake Stringer, who despite his negative headlines, was still their most reliable avenue to goal. Unless the talented but still green and underweight Josh Schache quickly blossoms, its hard to see where the goals are going to come from. The Dogs will probably have to rely on defence and getting numbers to the ball if they are to claw their way into the eight. How to bet the Western Bulldogs: Not surprisingly, the Dogs have gone under the total match score line in 29 of their last 46 games and it will not surprise to see this continue this season, particularly away from home. At Reading The Play we don’t just provide a bet list, we also offer individual game previews behind any betting plays, key information, analysis and our experts “read” on what is likely to unfold – an informed opinion. Our subscribers enjoy pre game preview thoughts and rational that not only provides them with a potential betting play but a broader “feel” and connection to each game. Published on March 20, 2018 in AFL. Published on 29th March 2017. Published on 5th June 2014. Published on 2nd July 2013.